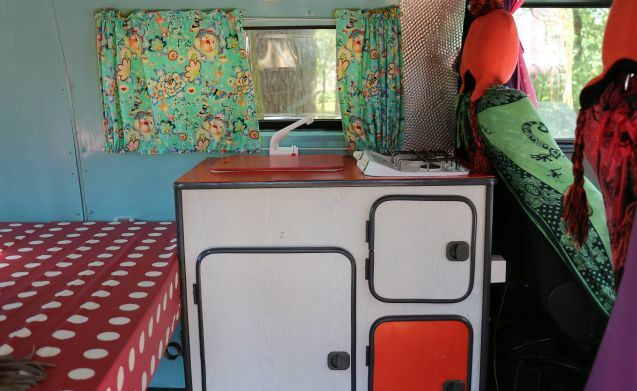 Five years ago I refurbished and furnished this Volkswagen T3 motorhome from 1981. Now I make her available to anyone who likes to feel like a hippie. My van has been completely overhauled this winter at the VW Classic Garage and is looking forward to a new camping season. 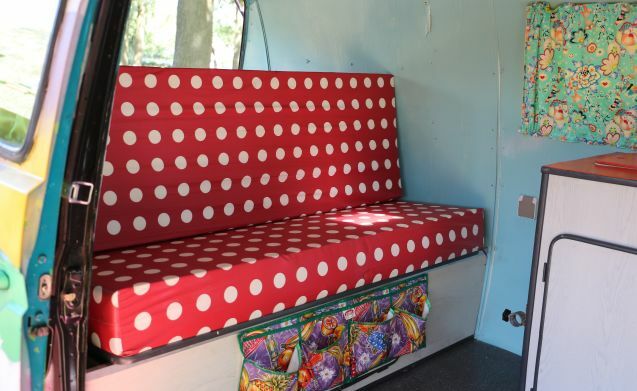 The inside of the van is colorful and brightly decorated. 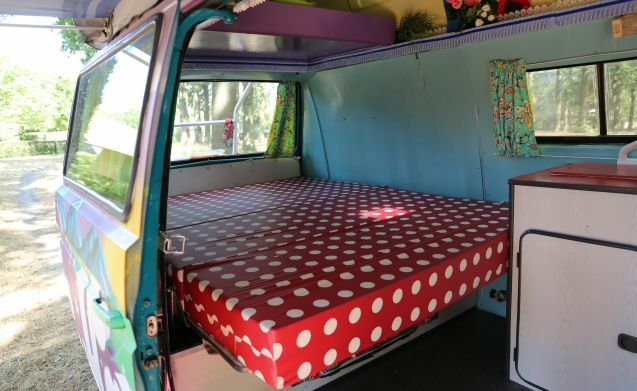 There is plenty of storage space for clothes and food. The kitchen contains all the necessities for 5 people. There is a cool box with cooling elements and if you connect a gas bottle you can also cook. 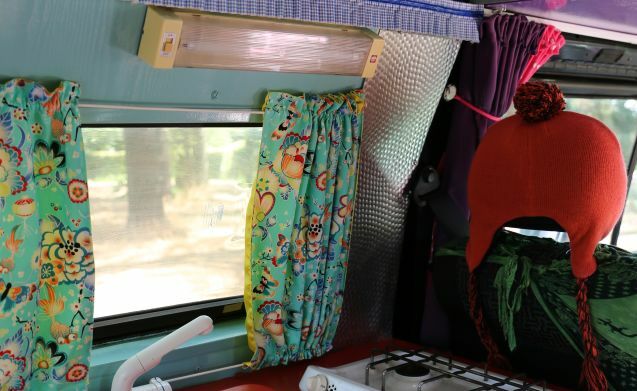 There is electricity in the van to which you can connect the kettle and, for example, the grill plate. For 10 euros extra per day you can rent the low-noise professional fridge / freezer that fits exactly between the two front seats, so that you have continuously chilled drinks. The outside of the van was sprayed by the professional graffiti artist Vincent Huibers. 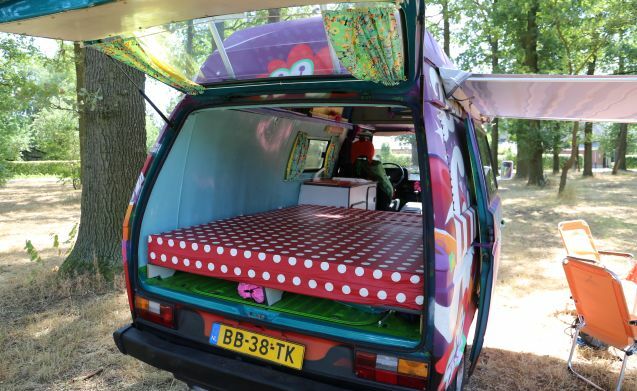 You will certainly attract a lot of attention on the road and at the destination with this eye-catching camper. 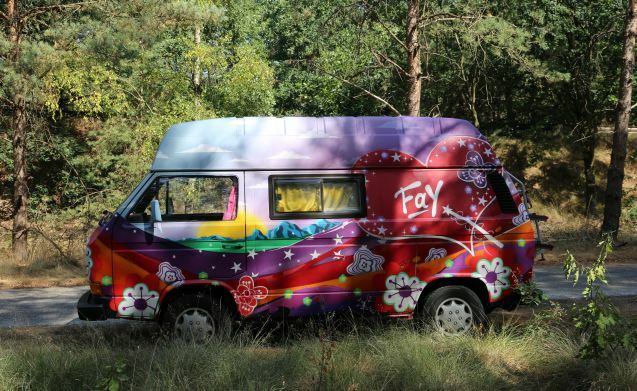 If you want to experience what it is like to drive around and live like a hippie, then this van is ideal for you! The camper is under maintenance at a VW classic garage and MOT approved. 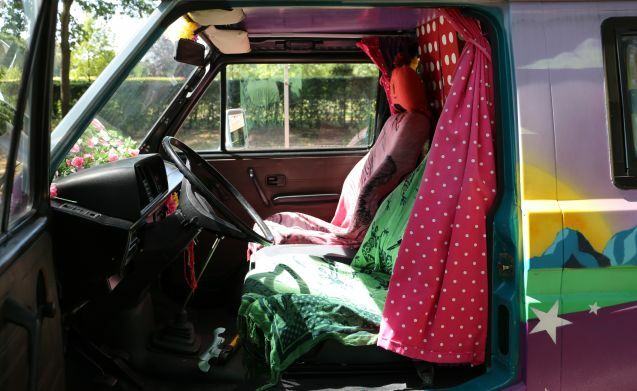 Our van is not suitable for driving long distances and is primarily meant for camping. That is why we have set a limit of an average of 107 km per day (750 km per week). If you drive more km's during the rental period you pay 0.35 euros per extra km driven. 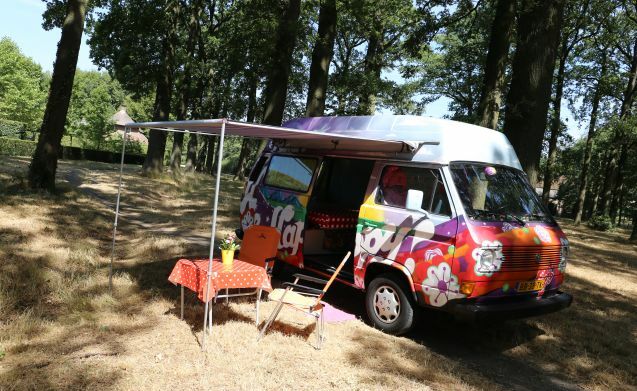 This camper van is an old beast and runs a maximum of 100 km per hour. It is not suitable for long distances or for driving in mountains. 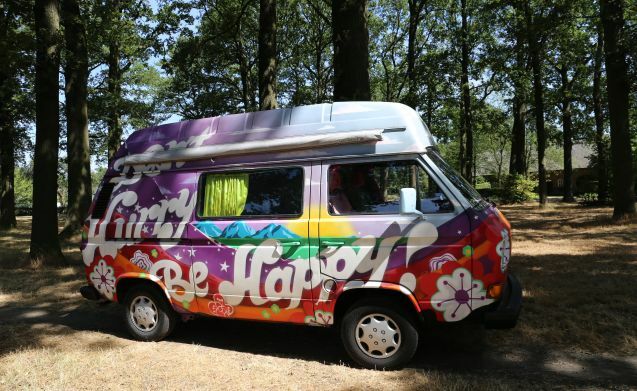 But to experience the optimal hippie feeling during camping. The van is delivered clean and fully refueled and we expect her to be clean with a full tank back. Furthermore, we hope that you are as neat with it as we do it ourselves. And just as much fun with it!